There are circumstances in which composite (tooth color fillings) serves better than amalgam; when amalgam is not indicated, or when a more conservative preparation would be beneficial, composite is the recommended restorative material. These situations would include small occlusal restorations, in which amalgam would require the removal of a sounder tooth structure, as well as in “enamel sites beyond the height of contour”. 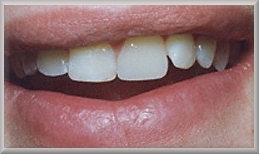 Dental composites are also called tooth color fillings. Composite fillings are white, tooth colored fillings that are used to repair both small and large cavities. They can also be used in the event of a chipped tooth to fill in the missing area. Since these fillings are easily camouflaged on teeth, they are often preferred by patients. Most dentists now use this type of filling on a daily basis. White fillings are made of a resin material that actually bonds to the tooth when applied. They are completely non-toxic to the body and withstand strong chewing pressure. The unique bonding application makes a tooth less likely to crack over time. The average composite filling will last 7-10 years, but many will last much longer. There are many advantages to tooth-colored restorations. Resin onlays are bonded to the teeth creating a tight, superior fit to the natural tooth. Such restorations can be used in instances where much of the tooth structure has been lost. The tooth remains intact and stronger. 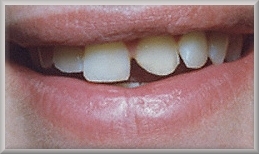 Less tooth structure is removed when preparing the tooth for a composite filling. This reduces the chance of irritating the nerve when repairing deeper cavities. Once the tooth has been cleaned and prepared, a bonding material is placed at the base of the preparation site. The resin material is then placed in layers, and a special light is used to harden each layer. This process takes a bit more time than other filling materials.